Standoff 2 is an MMOFPS game developed by Axlebot. The controls are simple so that the game plays at a high pace. Tap and swipe controls allow you to move your character, aim and shoot at any enemies that enter your sights. A few extra controls allow you to jump and switch quickly between preset weapons. Players are given a wide variety of weapons to choose from. You will be able to shoot at each other using a number of assault riffles, grenades, flash bombs, shotguns and Desert Eagles. You can pick the loadout which best suits your preferred style of play and newer weapons are unlocked as you progress through the game. Standoff 2 for PC features three game modes to keep you entertained. 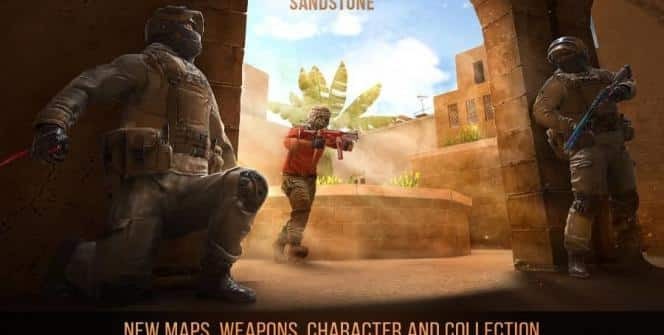 The first one is a team death-match which divides players into two teams and the team that racks up the highest number of kills in a set period of time wins, Defuse is a similar mode which features 15 rounds of skirmishes and the overall winner over the 15 rounds takes the gem rewards. Arms Race is the final game mode where players are able to kill their foes using every weapon in the game’s arsenal. Each mode is fun to play and features a number of maps that have great obstacles to hide behind and snipe from. A game like this needs many players to be online and you can choose to invite people from all over the world or invite your friends for a private bout. You can form alliances and choose to be the terrorist forces or the counter-terrorists. If you don’t want to play with people then you can play in single-player mode against NPC bots. As you win more battles you gain gems which are in-game currency. These gems can be used to buy bigger and meaner guns to give you a better chance at winning the next fight. The graphics in Standoff 2 for PC is one of its greatest qualities. The environmental designs are well thought-out to create a great fighting stage and the characters are able to interact with their surroundings well. The character movement is also very fluid. The sound is well designed as well. The soundtrack is not particularly interesting but the sound of your enemies dying will always be satisfying. With more than five million downloads from the App Store, you will always be able to someone that you can play with online. This is a free game therefore you can expect to be prompted to make in-game purchases even though you don’t have to. You may choose not to make those purchases, but your opponents might which gives them an advantage over you in battle. 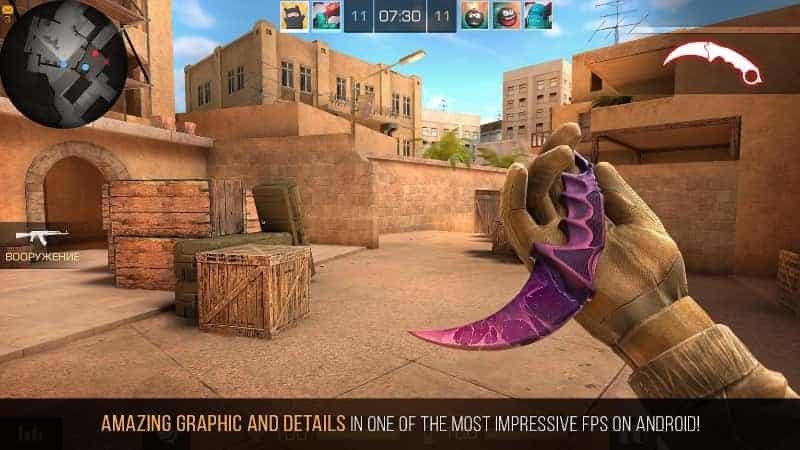 Standoff 2 features one of the best graphics that you have ever seen on a mobile FPS. The great graphics meld well with the stellar game mechanics to create a fast-paced game that is both realistic and fun. Players will have a great time mastering the many types of battlegrounds either alone or with friends. Sometimes when playing Standoff 2, bluestacks ask you fee to pay but gives you option to download some apps. Every time it asks you just select “Install apps” and continue using it free. I hope you enjoyed this article, please rate and share. If you have problems running Standoff 2 on your desktop or any other issues, leave a comment below.